An ancient cereal grain that originated in southern Europe, which is related to modern wheat. 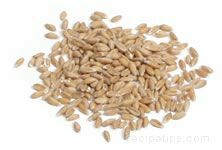 Many people think of spelt as a type of wheat and although they are of the same family, spelt is of a different species. It was widely cultivated in the United States at the end of the 19th century, but it became less popular when new high yield varieties of wheat were developed. Spelt also lost favor in the United States because it requires more time than wheat to process into flour. The outer hull of the spelt grain remains intact until the grain is processed, which means that more time and effort is required when milling spelt. This differs from wheat, which looses its hull when it is harvested. Although in terms of processing it is a disadvantage for the hull to remain on the grain after harvesting, there are advantages as well. The hull protects the kernel from insects and pollutants and it also allows the grain to maintain freshness and retain its full flavor and nutrients. The flavor of spelt is mild and nutty with a slight hint of hazelnut. It goes well with earthy ingredients and strong sauces, such as those made with garlic and olive oil. European countries use spelt for polenta, whole grain bread recipes, and pasta. Spelt is making a comeback in the United States not only because of its good flavor, but also because of its nutritional qualities. Spelt contains a higher level of protein (up to 25% more) than wheat and it is a rich source of B vitamins and fiber. Other nutrients found in spelt include iron, magnesium, niacin, thiamin, and phosphorus. It has been shown that the carbohydrates in spelt are useful in enhancing the immune system and in helping to clot the blood. 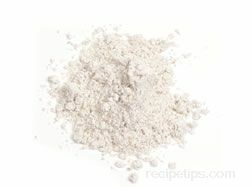 Spelt is processed into flakes, flour, and ready-to-eat cereals. The grain and related products can be found in health food stores, specialty shops, and well-stocked food stores. In Italy, spelt is known as “farro” and in Germany, it is known as “dinkel”.